My name is Steve Brueck and I'm a weather enthusiast that loves to talk about the weather. I work hard to bring you the most current and up to date weather information possible. I are a weather aggregator, I pull information from a variety of extremely reliable data sources, and present that information to you in a concise and easy to understand format. Along the way I hope to better explain how and why the weather works the way it does, by providing you with a more detailed look at what's going on in the background, the thing you don't get from TV and radio stations. My website is DaculaWeather.com, and I will reference it frequently in my blog posts, as it has more than one thousand pages of weather information. DaculaWeather.com is an ad free private weather site featuring live current conditions, National Weather Service weather forecasts around the country, multiple radar loops including NEXRAD radar images on Google Maps, as well as NWS radar loops. There are more than 100 different satellite loops, surface maps, computer model maps and loops, local weather, tropical weather, webcam, weather news, and much, much more.﻿ Exploring the site will keep you busy for a long time! :-) What was originally created to serve the local Dacula area, it has grown to the point that it brings visitors from all over the world, and it is now one of the most extensive private weather websites in the United States. We continuously monitor the EMWIN (Emergency Managers Weather Information Network) network for watches, warnings, and advisories, and display and re-transmit this information to my website, as well as to Twitter, Facebook (also as North Georgia Weather), and through email notifications, normally within the minute they are issued. I also have direct access to the National Weather Service through NWSChat, an online tool that allows Emergency Managers, Media, and other people that need immediate information about the weather. It also allows us to immediately send weather updates/observations in the event of severe weather. I utilize two different radar software applications, GRLevel III, and GR2 Analyst, both from Gibson Ridge Software. Using GR2A, I have the ability to view a storm from a 3D perspective, which helps to visualize hail cores and tornadoes. DaculaWeather.com is proud to have been selected by NOAA and the National Weather Service as a "Weather-Ready Nation Ambassador", and we'll be helping to spread the word about weather related awareness throughout the year. I suppose you could say web design as well. I designed most of my websites from scratch. I didn't use any templates or other existing designs when I began the process of redoing the site for the 4th and most likely final time, and at this point, the site is so large, going back and starting over is probably not an option. Right now I have a blog for autocross and one for my aquarium and I'm considering doing one on my music hobby as well. I would call myself an audiophile and love to listen to high quality music on a high quality sound system. Anyway, I hope you enjoy reading what I post, some of it will just be ramblings mixed in with factual type stuff. Nothing fancy here, and nothing too serious. just having fun living life! Market Square on Portsmouth New Hampshire. One of my favorite winter webcams, and beautiful at anytime of the year. 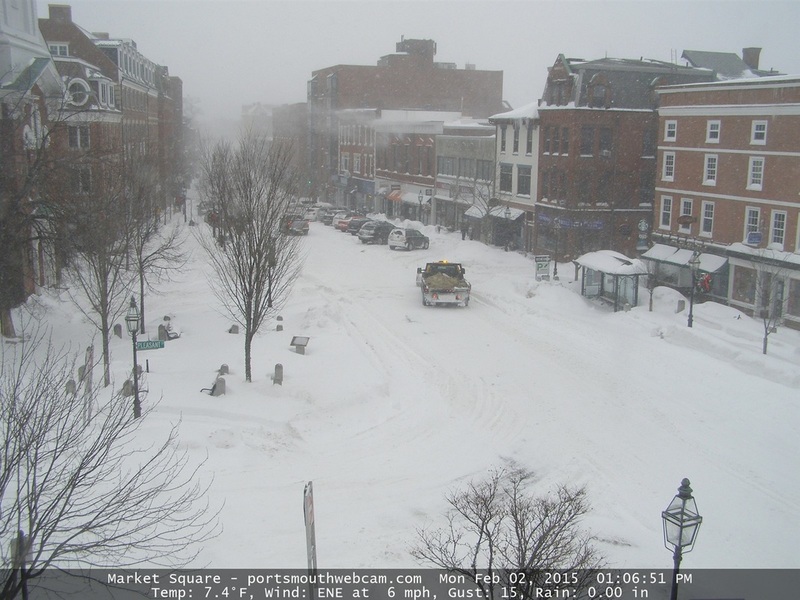 This site has other webcams on the square and in the Portsmouth area complete with time-lapse videos.